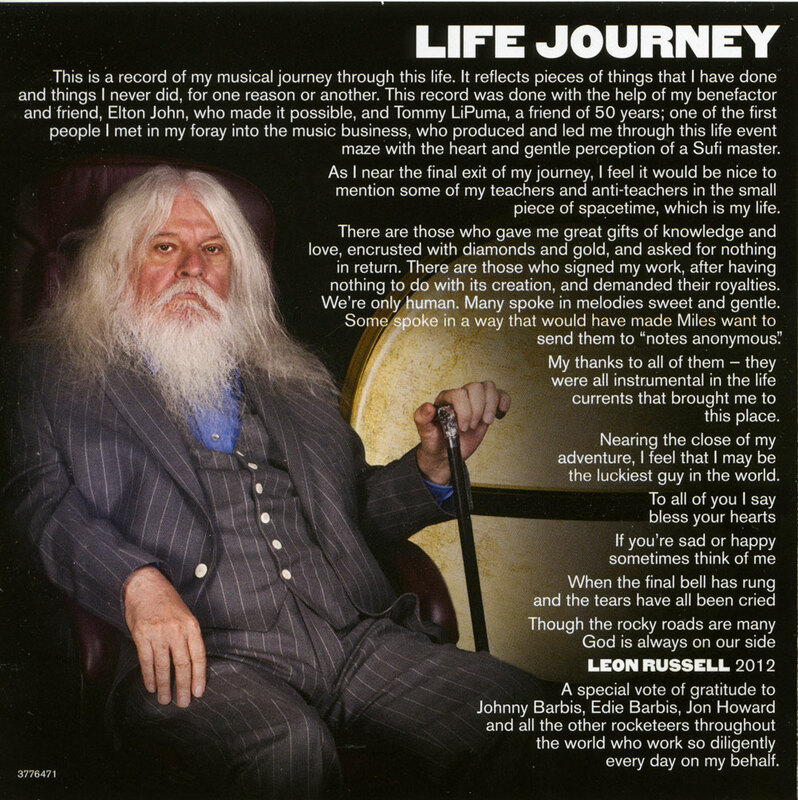 Leon Russell is a singer, writer and producer. Leon was producing and assisting musicians well before he appeared in 1970 with Joe Cocker. He has so many connections to so many artists and their successful recordings. 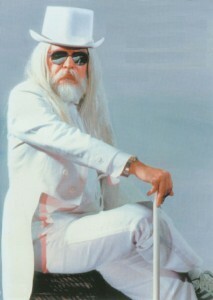 Despite his many albums and large following, his listing in those things called, The Charts, has not been much at all. 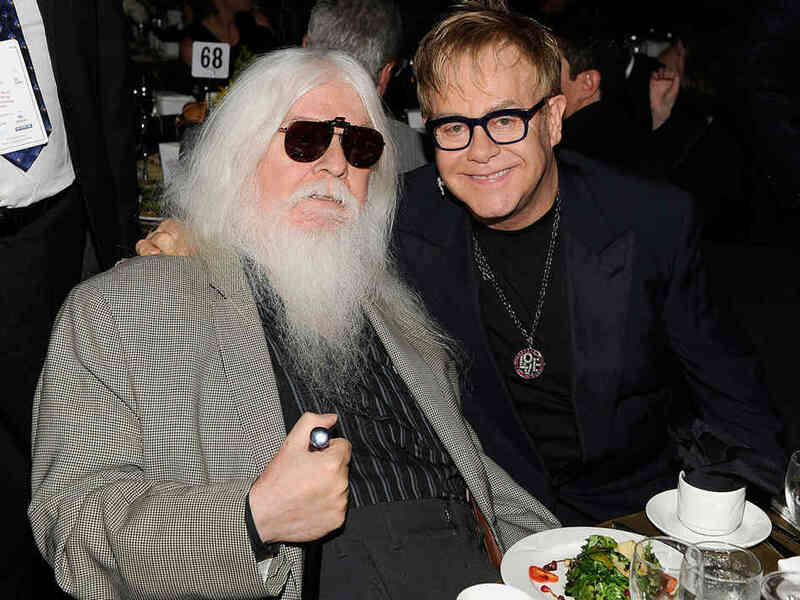 Even Leon considers that in the end he was off the radar until he was approached by his friend Elton John to do an album together. That album, The Union, which was a success in 2010. 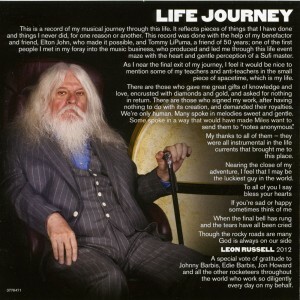 It was Elton John who then talked Leon Russell into doing the album which became this 2014 successful release Life Journey. On this he mixes crooning, country, with a touch of rock/gospel and some good old New Orleans sound. I have played this album many times here through the house speakers as well as in the car. The selection of songs and the production is a mixed bag. Leon has played in many styles over the years as well as produced music for many others. He leans towards country but that has not excluded many other areas of interest. Those many influences are here. If, like me, you know and have followed Leon Russell’s music, then you must get this one. If you are unfamiliar with his music, then you may need to do a serious listen. You never know! Leon Russell has been around my life for so long, that I lean towards liking many things he does. 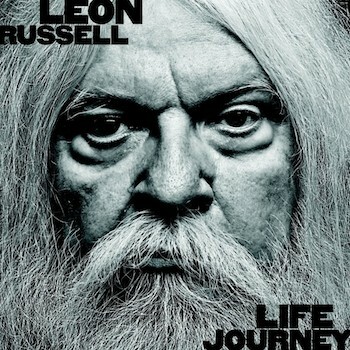 He is part of my life long musical experiences and it is great that he has put out this album. I for one hope he can manage more. However having done the research on him for this post, I can see he is not a well man; he is 72 and looking frail. I was amused that he wrote in his liner a few words of good-bye to the people in his life. Some were not so complimentary. We should all do that and let people know what we really think of them some time before we step away. ans here’s a great tribute – featuring some emotional moments with Elton John. This is a record of my musical journey through this life. It reflects pieces of things that I have done and things I never did, for one reason or another. This record was done with the help of my benefactor and friend, Elton John, who made it possible, and Tommy LiPuma, a friend of 50 years; one of the first people I met in my foray into the music business, who produced and led me through this life event maze with the heart and gentle perception of a Sufi master. As I near the final exit of my journey, I feel it would be nice to mention some of my teachers and anti-teachers in the small Piece of spacetime, which is my life. There are those who gave me great gifts of knowledge and love, encrusted with diamonds and gold, and asked for nothing in return. There are those who signed my work, after having nothing to do with its creation, and demanded their royalties. We’re only human. Many spoke in melodies sweet and gentle. Some spoke in a way that would have made Miles want to send them to “notes anonymous’.’ My thanks to all of them – they were all instrumental in the life currents that brought me to this place. Warning – my recommendation for this album is a little biased – I like the man and most of his music! 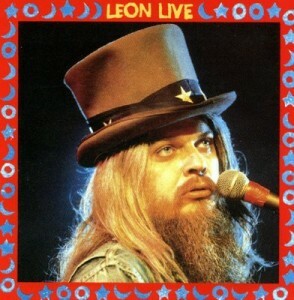 I admit that this is a mixed album, a bit of old fashion crooning plus other styles and a little bit of the old Leon Russell singing and piano playing. Paul Costigan, 15 June 2014.